After years of decline and stagnation, the local housing market picked up in the second quarter of the year. 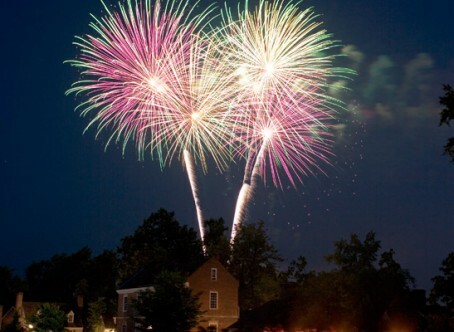 According to figures offered by two pros and the Williamsburg Area Association of Realtors, sales rose in the greater Williamsburg market, prices were stable and inventory on the market continues to shrink. All three are keys to recovery. Raise your thermostat to 78º. If you are away from home for more than eight hours, raise the thermostat setting and you can expect to see up to a 3% savings on cooling costs for each degree of setback. This is the number one way to conserve energy. This will reduce the amount of energy used to cool your home while you’re away. You can learn more about your thermostat online by visiting the U.S. Department of Energy website. Keep shades closed when the air conditioner is on. Sunny windows account for 40 percent of unwanted heat and can make your air conditioner work two to three times harder. Check and clean filters. Cleaning and replacing air conditioning filters monthly allows the system to run more efficiently. Clear attic vents. If the home has an attic fan, make sure it is functioning properly. Install ceiling fans and make sure they are blowing down. Don’t underestimate the importance of ceiling fans. Moving air over the body provides a cooling effect. The use of ceiling fans can mean savings of around 25% on cooling costs and can make the temperature seem 10 degrees cooler. Most fans have a switch to change the fan direction. Make sure ceiling fans are blowing downward (in a counter-clockwise direction) to send air past your body. Postpone activities that require hot water and large energy use – such as washing dishes or clothes – to early morning or late evening. This will keep from adding more heat and humidity to the home. Use the dishwasher and clothes washer late in the evening. When used during the day, these appliances produce additional heat, causing your air conditioner to work harder. Use cold water to wash dishes and clothes. This will save on water heating costs. Avoid using the stove if possible. Consider grilling outside instead. Unplug equipment not in use. Electric chargers, televisions and audio/video equipment use electricity and produce heat even when they are not in use. Running an older refrigerator can use up to three times the energy of a modern one. Unplug any appliance when it’s not in use. Turn off lights. Turn lights off when exiting a room. They add to the heat in the home. Consider replacing incandescent bulbs with energy efficient compact florescent lights (CFLs). And remember to recycle CFLs whenever possible. You can find out more information on their website by clicking here. 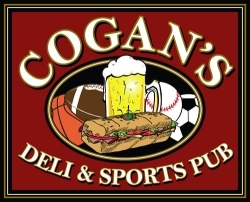 By Inman News®, Thursday, July 12, 2012. Mortgage rates broke records again this week as fears that the European debt crisis will slow the global economy had investors moving money out of stocks and into safer investments like Treasuries and bonds that fund most mortgage loans. Rates on 30-year fixed-rate mortgage averaged 3.56 percent with an average 0.7 point for the week ending July 12, down from 3.62 percent last week and 4.51 percent a year ago, Freddie Mac said in releasing the results of its weekly Primary Mortgage Market Survey. That’s a new all-time low in Freddie Mac records dating to 1971, and rates on 30-year loans have now been below 4 percent for 16 consecutive weeks. For 15-year fixed-rate mortgages, rates averaged 2.86 percent with an average 0.7 point, down from 2.89 percent last week and 3.65 percent a year ago. That’s also an all-time low in records dating to 1991, and rates on 15-year loans have been below 3 percent for seven weeks. Rates on five-year Treasury-indexed hybrid adjustable-rate mortgage (ARM) loans averaged 2.74 percent with an average 0.6 point, down from 2.79 percent last week and 3.29 percent a year ago. That’s an all-time low in records dating to 2005. For one-year Treasury-indexed ARM loans, rates averaged 2.69 percent with an average 0.4 point, up from 2.68 percent last week but down from 2.95 percent a year ago. Last week’s rate for one-year ARMs was an all-time low in records dating to 1984. Do FSBOS Really Save Money?? Very, very few people are qualified to sell their home without the help of a real estate professional. And, unfortunately, many people who believe they are saving money… aren’t. In fact, they may be surprised at just how much it’s costing them to go it alone. 1) Pricing in this market is tricky. Setting a price on your home takes an insightful analysis of not only past sales, but current pending sales. Many for sale by owners are actually over pricing their properties right now, because they don’t have the experience or access to the right data in order to accurately determine market value. In addition, we are also seeing approximately 1 in every 5 appraisals coming in low, sometimes thousands of dollars. A good Realtor can assist with appealing an appraisal, or working with the appraiser or underwriter to get a value adjustment, potentially saving the seller thousands of dollars. 2) Realtors are expert negotiators…an absolutely essential need in today’s buyers’ market. With the leverage of the Multiple Listing Service and in-depth knowledge of available loan programs, a good Realtor can insure that buyers and their agents are attracted to your property first. 3) The name of the game is not finding a prospective buyer for your home, but finding the right prospective buyer. The biggest mistake a private seller can make is taking their home off the market for an unqualified buyer, or one who has allowed a loophole in the contract. They are fooled by supposed “pre-qualification” letters that aren’t worth the paper they are written on. Realtors are diligent about checking out the qualifications of potential buyers, knowing the right questions to ask, and how to identify potential trouble spots. Because Realtors prepare, negotiate and process sales contracts every day, they know what to watch out for in contracts. 4) There are at least a dozen junctures in the real estate transaction where working with a professional Realtor saves the seller money. Insuring that their clients don’t pay excessive “junk fees” (fees charged by lenders that the buyer is, by law, not permitted to pay), coordinating timing to avoid duplicate or unnecessary mortgage payments, limiting liability and repair exposure, the list goes on and on. For many, simply access to their Realtor’s network of reliable and affordable affiliates saves clients hundreds of dollars and a lot of headaches. And, of course, this is not to mention the time involved to market, sell, and close a home. Before you risk going it alone, you owe it to yourself to interview a professional Realtor! JAMESTOWN – Historic Jamestowne is offering a new onsite activity to enhance and expand a family visit to the island this summer. “Survivors: A Jamestown Adventure,” which runs daily from 10 a.m. – 3 p.m. through Sept. 3, is a game of chance that leads participants on a search to find material and supplies to help save the colony. As they explore the island, participants look for keys to survival that will determine their fortune in the New World. 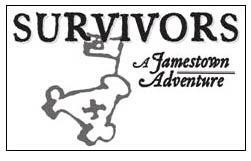 “Survivors: A Jamestown Adventure” is designed for children six years and older. Players pick up their illustrated game booklet featuring illustrations drawn by local artist Bentley Boyd at the Historic Jamestowne Visitor Center to start their adventure. Participants explore the exhibits, fort site, the island’s environment and the Nathalie P. and Alan M. Voorhees Archaearium in search of keys to survival. Through luck and chance, participants find these keys and learn whether they survived and remained in the colony. Completion of the game earns players a special reward that can be collected at the Voorhees Archaearium. Holly Duke Miller is an Associate Real Estate Broker with Liz Moore and Associates in Williamsburg, Virginia. She is also a certified Senior Real Estate Specialist or SRES®. She specializes in homes for sale in Williamsburg, James City County, York County, New Kent County, and surrounding areas. She offers full service real estate support to both buyers and sellers of Williamsburg homes and land. As a native to the area, Holly is very knowledgeable about the local market and takes pride in helping each and every client reach their goals. Whether you are considering buying a home in the Williamsburg area or have a property to sell, she looks forward to working with you. Please contact her anytime at 757-254-4354 or email her at hollymiller@lizmoore.com for all of your Williamsburg and surrounding area real estate needs.